First, the draft pick. With the help of our friends over at Tankathon.com, you can see that the Bills currently sit at 6th overall. Technically, the Bills got help yesterday in terms of the Wild Card, too. But they are going to need more than “help” if they are going to make it two years in a row. But in my opinion, there is no way. None. We’ll see what happens with the Bills coming out of their bye. They either lose to the Jags and inch closer to the top of the draft or they win and inch closer to a miracle Wild Card run. The exact definition of a win-win! 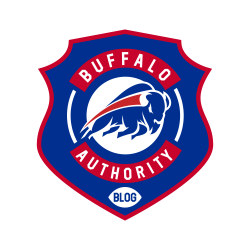 This entry was posted in Analysis, Game Reactions and tagged Bills Blog, Buffalo Authority, Buffalo Authority Blog, Buffalo Bills, NFL Draft, NFL Playoffs. Bookmark the permalink.